Since the World Bank started releasing the Doing Business report, it has become easier to attract foreign investors. Benjamin Gasamagera, Chairman of Rwanda Private Sector Federation said that, “We no longer take much time to explain to foreign investors because they know our country better than us, they trust Rwanda better than us because of the World Bank doing business report”. Gasamagera was speaking at the launch of the latest report at Marriott Hotel, Kigali November 10. Rwanda is ranked 41st in the World Bank Doing Business 2018 rankings. According to the rankings, Rwanda excells in the property registration which is one of the indicators considered in the doing business rankings. It is the 2nd globally. Since the World Bank started conducting the annual survey on how countries ease doing business 15 years ago, Rwanda has implemented 52 reforms, more than any other country in Sub-Saharan Africa, followed by Kenya (32) and Mauritius (31). During the presentations, Rwanda Development Board (RDB) showcased the 2019 draft action plan of 15 reforms Rwanda needs to be able to come up with better scores where it still lags behind and sustain the achievements realised. ”As a country, we are trying to compete with ourselves, but also we would like to be a player in the global area of doing business,’’ said Munyeshyaka. ”The top leadership is committed to make sure that we improve business in the purpose of creating jobs, increasing exports and having our private sector as a key player in our economic growth,” he explained. Among the reforms Rwanda will focus on include introduction of online employee registration and the introduction of online Electronic Billing Machine (EBM) with an aim of reducing time and cost. In paying taxes, Rwanda is ranked 31st in the world and according to RDB, these reforms will see Rwanda regain a place in the top 10 globally. In the World Bank 2018 doing business report, Rwanda still lags behind in getting electricity as one of the indicators considered in the report. It is ranked 119th out of 190 countries surveyed. On electricity, recording of duration and frequency of power outages will be automated and time for electricity connection will be reduced from 30 to 20 days. Also, electricity tariffs will be revised to reduce charges. Meanwhile, RDB says the country seeks to establish a small claims procedure and introduce the new insolvency law as it is ranked 85th in enforcing contracts and 78th in resolving insolvency. This is to reduce time and cost involved in dispute settlement. And for the new insolvency law, by the end of the year, it will have already been set by the parliament according to Minister Munyeshyaka. In getting credit, Rwanda dropped to the 6th place from the 2nd in last year’s report. This was due to the insolvency law that has not yet been resolved. In other indicators of the Doing Business Report, Rwanda is ranked 78th in starting a business, 112th in dealing with construction permits, 16th in protecting minority investors and 87th in trading across borders. 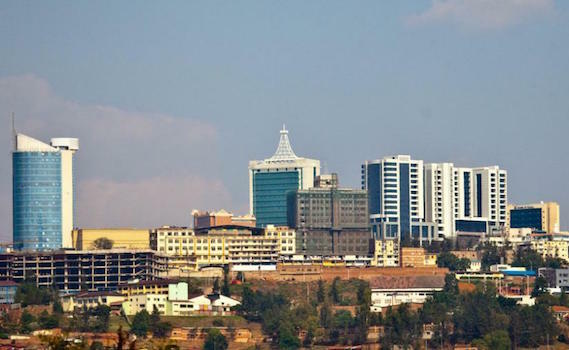 Rwanda prides herself for being ranked the 2nd in property registration in the world and the 2nd in easing doing business generally in Africa. It takes only seven days to transfer a property at a cost of 0.1% of the property value. “There are so many things Rwanda has that attract investors and business environment is one of them; it is not everything but it is one of them”, she said. 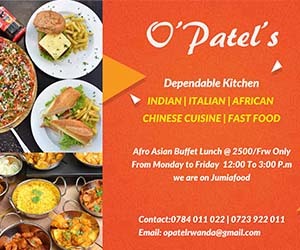 She explained that: ”We can’t choose to be next to the sea, we can’t mitigate, we can’t reduce the cost of transportation to investors from other countries but we can do something about the business environment and, that has been our uniqueness and it has made Rwanda attractive in more ways than it was before”. ”Time is money. If we can make you stop wasting time running between institutions and spend that money producing for the market, we benefit as an economy and our people benefit”, she said adding that, ”it is not only about time being money but it is also just the convenience. If you can sit in your office and apply for your business to be registered, it is easy and convenient as you can do other important things instead of driving your car to RDB [headquarters] to get your business registered”. On the 15 reforms to be implemented to improve Rwanda rankings on the Doing Business report, Gasamagera said that “we will prioritize where we performed worst; where we are still lagging behind and that is in getting a credit, dealing with construction permits and insolvency”.